The hotel is 10 minutes’ walk from the island’s harbour, or a couple of minutes in an ageing pick-up or on the back of a moped, depending on how adventurous you’re feeling. As you might expect, there are no airs and graces at Boutique Beach, just genuine hospitality and honest food to refuel you between activities, served either in the sand-floored restaurant or on the large roof terrace. Rooms are comfortable and spacious, with plenty of room for dive gear, and the two larger rooms at the front would easily accommodate four sharing if really travelling on a budget. The rooms have simple, pleasant décor, good beds, very nice partially open shower rooms, and all the charger sockets you need, as well as wifi for uploading all the awesome underwater photos you’ll be taking. The location of Dhigurah in the South Ari Atoll is perfect for diving and snorkelling, and there are fully inclusive packages that include various excursions and up to 3 dives per day. With only six rooms in the hotel, there is plenty of scope for flexibility in excursions, and these tend to be arranged daily, based on the collective preferences of guests. There are numerous famous dive sites just minutes away, and the island lagoon itself is well known for spotting mantas and occasionally young whale sharks (we got to swim with two on our visit!). 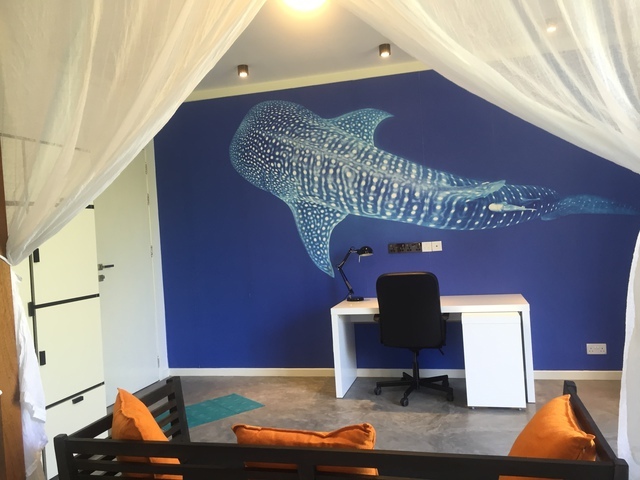 The newly opened Boutique Beach dive centre near the harbour is modern and well-equipped, and while they are renting boats at the moment, their own specially designed dhoni is under construction and will be ready early in 2016. 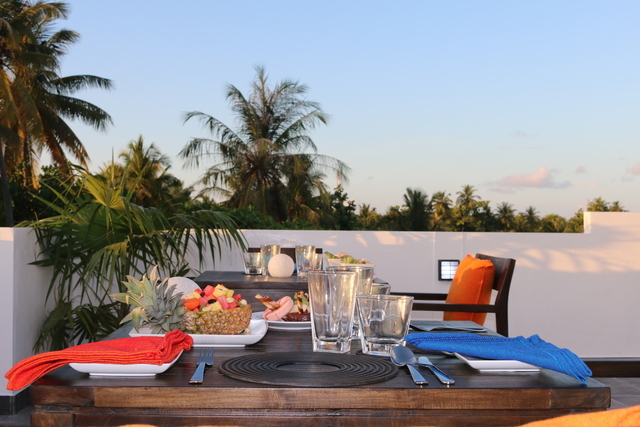 Staying on a local Maldivian island is a very different experience from visiting a resort. If you’ve been on a local island excursion, you’ll have a bit of an idea what you’re in for, but staying there and mixing with the friendly locals is a real eye-opener. Dhigurah is quite a large island at 3km in length, but is home to only around 600 people, all located towards the Northern end. The rest of the island is uninhabited jungle and deserted beaches, and if you fancy some alone-time Boutique Beach will pack your lunch up for you so you can wander off for a private picnic. As per local custom, there is no alcohol available on the island, but evening trips to a resort bar can be arranged if you feel the need (note that some resorts charge non-staying guests for the privilege). We think a few nights at Boutique Beach, experiencing real Maldivian life and getting in some serious diving time, would offer the perfect complement to relaxing at one of the nearby resort islands (such as Drift Thelu Veliga Retreat), so why not consider a twin-stay, and we’ll arrange a speedboat to whisk you between the two! Book 30 days in advance and receive a 25% discount. Applicable also for teens sharing parents' room and children/teens in own room. Not combinable. 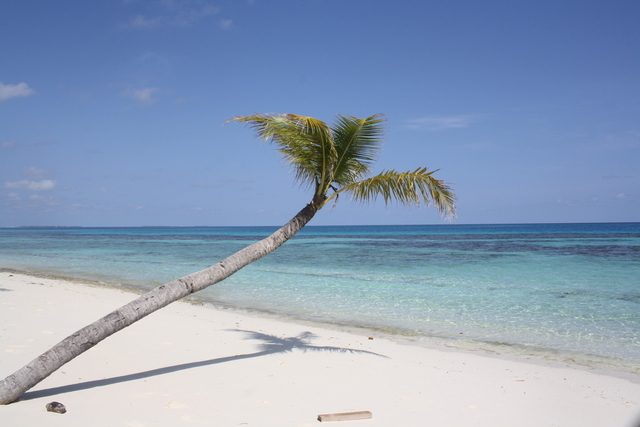 Boutique Beach is designed, built and run by Romney Drury, a British diver, who loved this area so much, she gave up her job in the UK to be able to offer divers a wonderful experience for a much more economical price than previously possible in resort diving. The hotel offers 6 spacious, private rooms, 1 main restaurant and 1 roof top restaurant along with a very own Diving centre with NITROX and whole range of excursions and opportunities to enjoy the natural Maldivian environment. 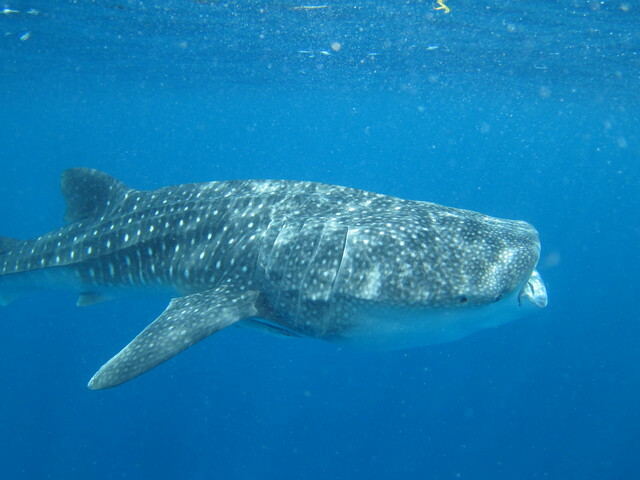 Boutique Beach is located on Dhigurah which is in the famous whale shark area in the South Ari Atoll. 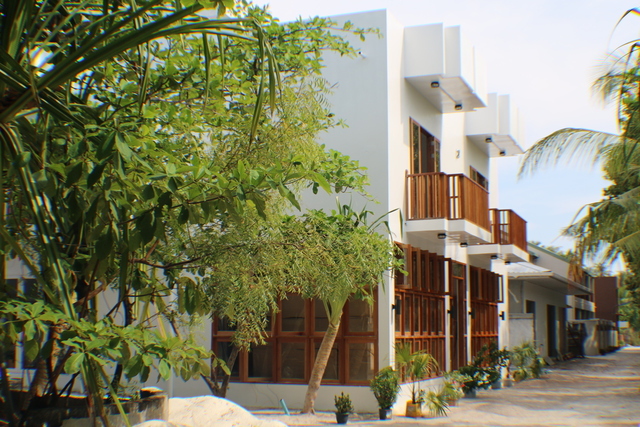 Our hotel is located just 2 minutes from the beach of Dhigurah. It’s a marine protected area from the government, where whale sharks & manta rays are seen every day. Boutique Beach’s main focus is to give guests opportunities to experience the wonderful marine wildlife available in South Ari Atoll and also to experience the "Real Maldives", amongst friendly local people who are happy to share their island and their way of life. Meet the locals and experience the local life style while enjoying the beauty of Maldives. Guests can transfer on a 20 minute domestic flight from the international airport at Male’ to the domestic airport Maamigili. The traditional local ferry and speed boat options are also available between Male’ and the local island. Dhigurah, (meaning long island) is in South Ari Atoll, about 20 minutes by plane from the capital, Male’. 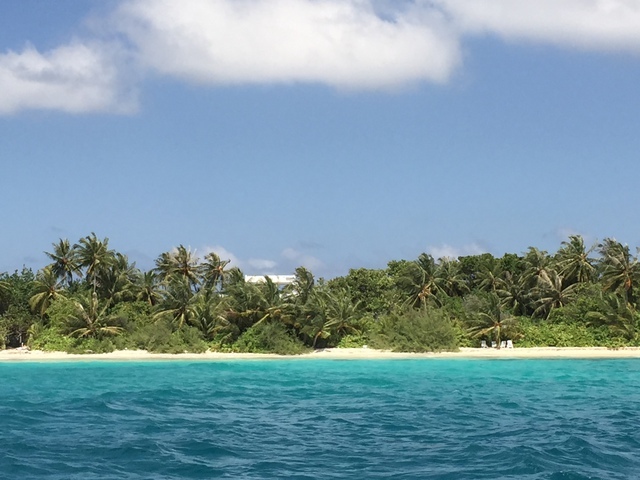 The island is 3 km in length which is considered to be a reasonably long island in the Maldives. With more than 3 km of natural white sandy beach, it is also considered to a beautiful inhabited island. With a population of about 600, Dhigurah has all the necessary facilities for human habitation, a school, medical centre and a generous harbour. The population is concentrated on a small area in the north of the island and the rest is mostly for fruit and vegetable gardening and natural vegetation.